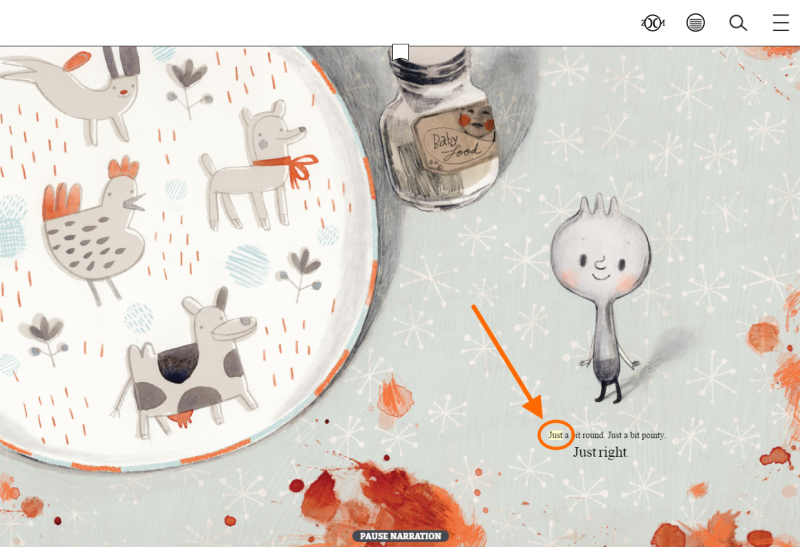 What is a read-along ebook and how does it work? Read-alongs are OverDrive Read ebooks with professionally recorded narration that plays along while you read. You can find read-along ebooks in your library's digital collection by running a search, then selecting OverDrive Read-along under the expandable Ebooks filter. 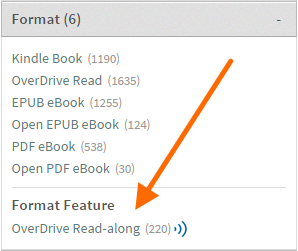 On the details page for a read-along ebook, you'll see "OverDrive Read" with an audio icon in the "Formats" list. Learn which web browsers are compatible with read-alongs here. 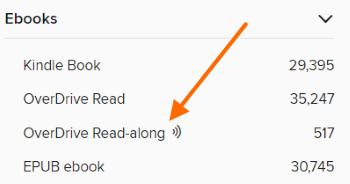 To get started, click or tap the Read now in browser button for a borrowed read-along ebook. The book will open in a new tab in your web browser. Then, select Start narration at the bottom of any page to begin the audio from the top left. Many read-along ebooks will highlight words, sentences, or paragraphs as the narrator reads them, so you can follow along. Pages automatically turn when the narrator reaches the end of the page. If you'd like the narrator to repeat any word, sentence, or paragraph, simply click on the word you'd like to hear again. You can also turn back a page, and the narrator will begin reading from the top left. Select the Pause narration button at the bottom of the page if you need to stop reading. 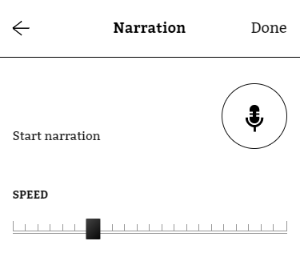 If you want to adjust the narrator's reading speed, open the OverDrive Read menu, select Narration, and drag the slider. Note: To open the menu on a mobile device, tap the middle of the screen first, then tap the menu icon. 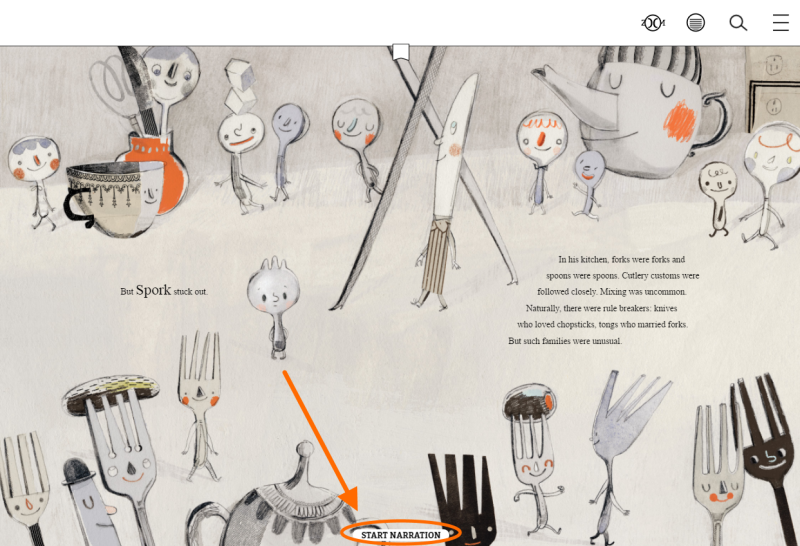 Some ebooks in your library's digital collection may be labeled "Read-along." This means that the OverDrive Read format for those ebooks has professionally recorded narration that plays along while you read. You can find read-along ebooks in your library's digital collection by selecting the OverDrive Read-along filter after you run a search on your library's OverDrive website. To get started, select Read (In your browser) next to the ebook on your Checkouts page (under your Account). The book will open in a new tab in your web browser. Then, select Start narration at the bottom of any page to begin the audio from the top-left.